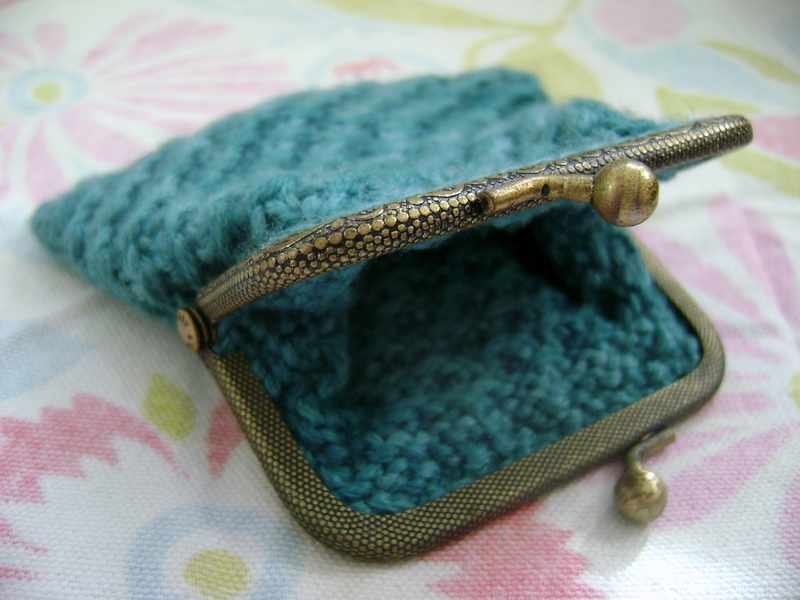 I knit this teeny little purse a few summers ago, fully intending to write it into a pattern. 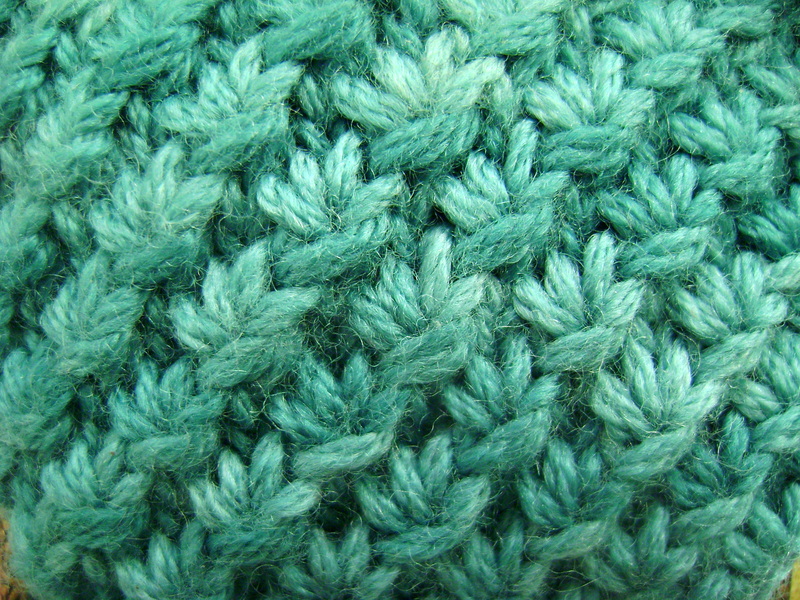 I love the star stitch, and it looks so nice in this pretty Koigu wool. 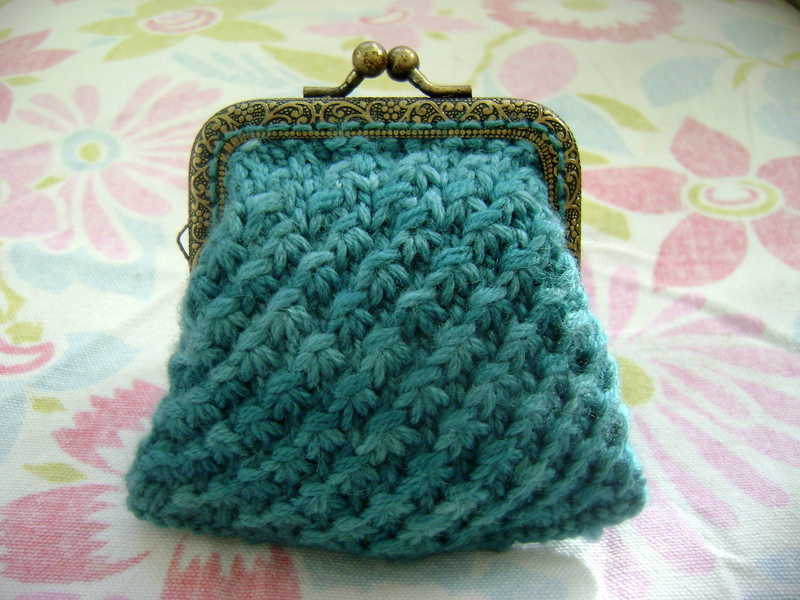 This winter I have been focusing on pattern writing, and now the time has come to write up the directions to make this cunning little coin purse. You can finally purchase the finished pattern on Ravelry! 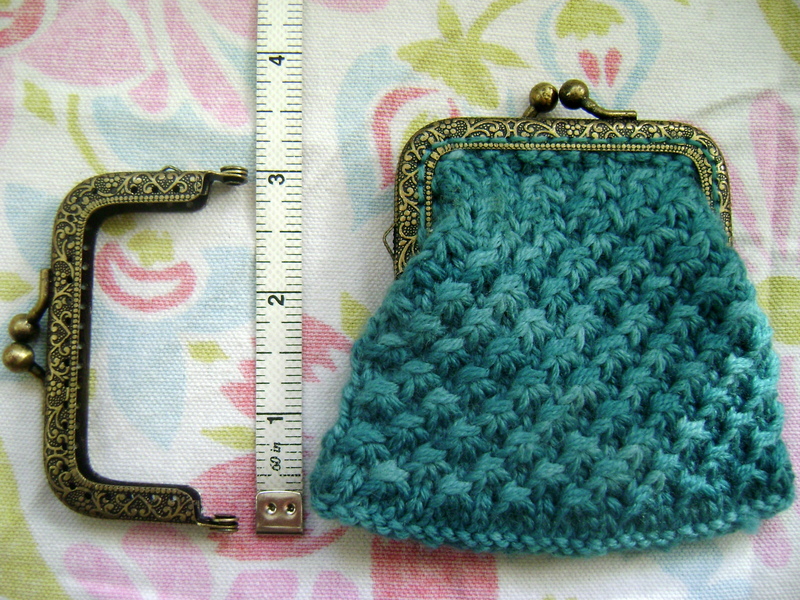 I got the 3″ metal purse frame from one of the many trimmings shops in the fashion district in Manhattan. If you live in another place, you can google ‘metal purse frame’ and I am sure you can easily find a supplier online. You may even be able to get one somewhere like JoAnn’s Fabrics and Crafts. I love how small and pretty this little knit is. Its very easy and its a total instant gratification project, as it should take the average knitter just a couple of hours to make up. I left mine unlined, however you could totally cut a little fabric and stitch up a lining in no time. I’ll be posting the pattern later this month! Never miss a pattern or a post! Sometimes they’ll come out perfectly..